Our “Global Offices” blog series features a Q&A each month with one of Exponential’s offices across the globe. For this mid-May special edition, we caught up with the eccentric and loud group from the Melbourne office. Find out more about what makes this group one of the leading markets globally, and what desserts can help you make your way to this team’s heart. What year did this office open? The Melbourne office opened in 2011 and back then we only had 4 people! How many Exponential employees are at this office? Which departments are represented? Since 2011 we’ve grown to a team of 16. An incredible increase in headcount and diversity with departments represented across Sales, Account Management, Strategy, Marketing as well as Regional and Global Management. This makes us one of the most diverse Exponential offices globally. What are some favourite activities the office enjoys doing together? Ping Pong – Just like how we strive to be the best in the market, so do our guys at being the number #1 on the pong table. Not a day passes without loud screams from the back of the office…be it triumph or outrage. The title of “THE BEST” is yet to be formally claimed… although there are some strong opinions on who is most deserving of the title. Morning Tea – we just love a good ole fashion bake off! Any charity or cause will do when it comes to showing off our culinary skills. And eating. “Look Good, Feel Good!” – We try and encourage a healthy lifestyle in Melbourne. This means, as a group, we often run regular group training sessions at the local gym and on sunny days, many partake in a kick of the footy (AFL). We aim to eat well, and that can mean a semi regular sugar tax is declared*. We find it’s a great way to make up for all the morning teas we put on. But mostly, we really like to guess what colour shorts Steffen will roll with. *”Eating well” includes regular intakes of chocolate and sugar taxes may or may not fund the next chocolate hit. 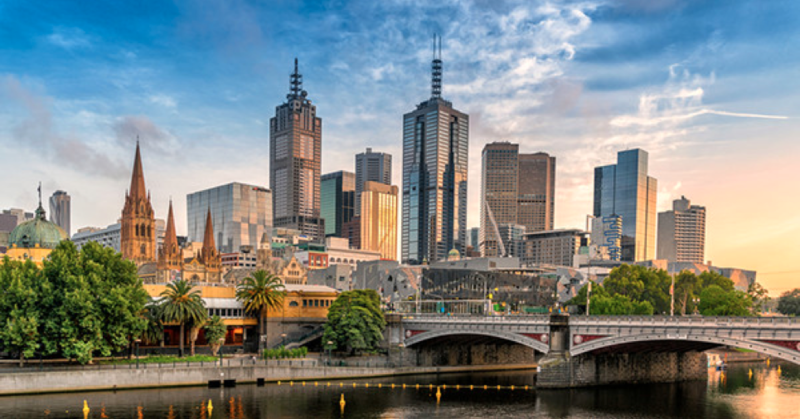 What does your office love most about Melbourne? Any favourite local spots? We like being down in the southern hemisphere, away from all the chaos. Also, our coffee is the best on the planet, and there are more laneway bars than there are people. Plus, it’s the world’s most liveable city, so, you know… it goes alright. Hmm, as for our favourite local spot? There is a sneaky place in the back of the kitchen cupboard where chocolate is sometimes stashed. “Don’t come back from that meeting without chocolate”. If you have to leave the office to meet with a client it’s not wise to return empty handed. Chocolates with berries or coconut are preferred. We need to make sure all stakeholders of the company are satisfied and well-fed – we’re all in this together, after all. What is one interesting fact most people don’t know about the Melbourne office? We collect fridge magnets. There are easily 75 or more on there, which have come from all our employees from different places they’ve travelled to. Our office is pet-friendly. If you’re allergic, that’s just too bad. Plus, there is a helipad on top of our office block and we suspect John McKoy uses it to get to work. We are a very close group, and one of the great joys over the years has been watching team members grow, travel, get married, have babies, acquire new skills, improve their ping pong game, introduce a new chocolate flavour to the office or the pure joy when an ASOS delivery arrives (almost) every day. We love coming to work as we love the company and because of the “team LOLs” we get together. Many thanks to the Melbourne team for allowing us a peek into their world!